The Royals are Delighted! Its Official, the Duchess of Cambridge, Kate Middleton is pregnant. which requires supplementary hydration, vitamins and rest. She is expected to stay at the hospital for some days. Over a year after their highly publicized wedding, Kate and William will have to bear another round of frenzied media attention as rumors have started to trickle in. 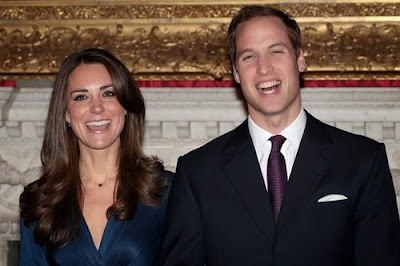 Some rumors say Kate Middleton is expecting Twins, which is claimed to be the cause of the acute morning sickness. Whichever is the case,we wish you speedy recovery Katie! !